40mm rose gold case, in house automatic movement with date, with glass exhibition back. 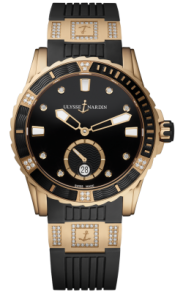 19 Diamonds are mounted on the bezel and 8 diamonds on the dial, while both rose gold elements are set with 40 diamonds each. 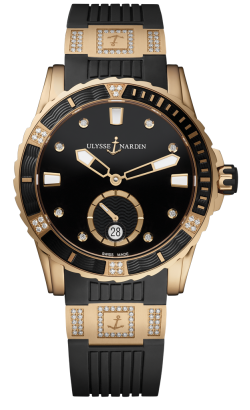 It is available on a sporty black rubber strap with rose gold folding buckle.